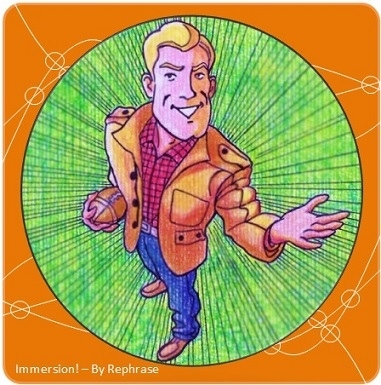 Some colleagues of mine at the language school at which I teach have come up with a novel language learning tool: A role-playing card game, called “Immersion,” designed to promote English language acquisition and practice in a fun and interactive way. The card game includes 20 “character cards” drawn by none other than yours truly! Donations of any size are very welcome, but you will notice that for elite, “Fully Immersed” donors –those willing to back $150 or more– the rewards include becoming a part of the game, by having your likeness immortalized as one of the game characters, drawn by me! Just think, people all around the world may soon be role-laying the game as you (or as another character created according to your specifications)! 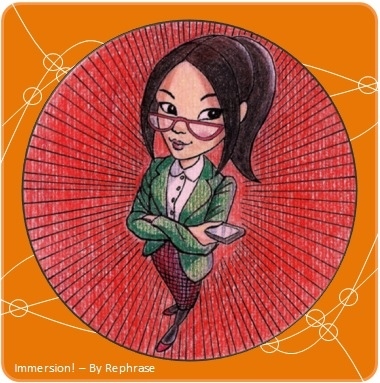 This entry was posted in illustration and tagged card game, ESL, immersion, kickstarter, language learning, language practice, role play. Bookmark the permalink.